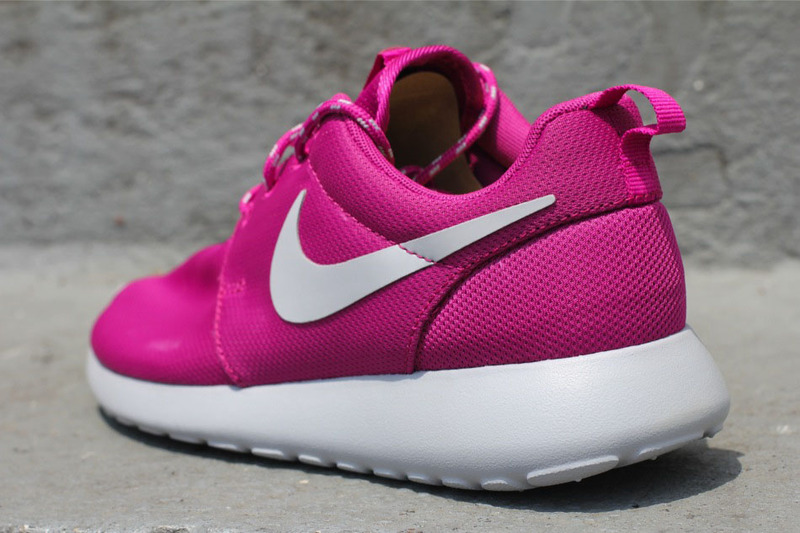 Nike's onslaught of Roshe Run colorways continues with a new pink-based style for women. 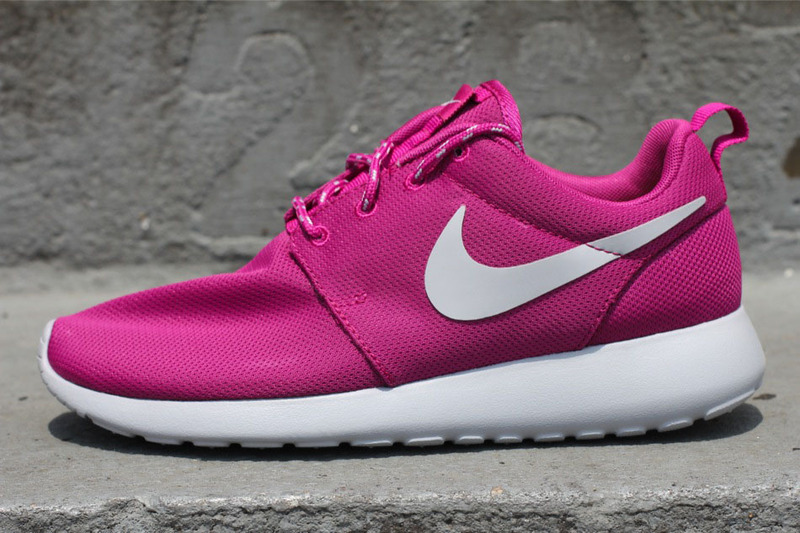 Nike's onslaught of Roshe Run colorways continues with a new pink-based style for women. The shoe sports a pink mesh upper, accented by Wolf Grey on the lace speckle, Swoosh branding, and Lunarlon-cushioned sole. An EVA foam outsole provides lightweight impact absorption and durability. 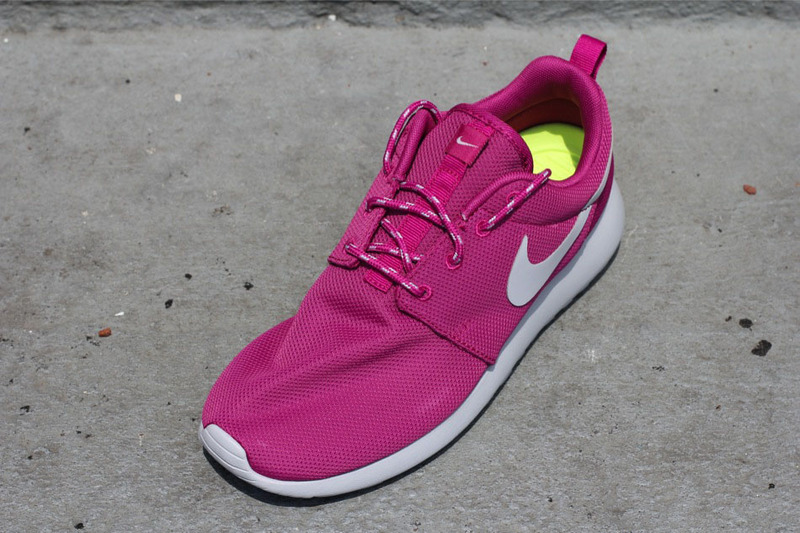 The "Rave Pink" Roshe Run is available now at Oneness and other Nike retailers.